For more detailed information about clinic services, please contact one of our clinic assistants at 404-413-6229. 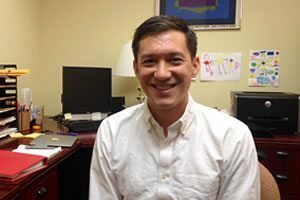 The Psychology Clinic offers confidential, evidence-based counseling services to individual adults and couples from the Atlanta Metropolitan area. 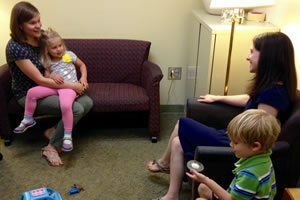 The Psychology Clinic provides services for all ages, including children and adolescents. Also, the clinic offers family therapy, parent training, and interventions to help promote social skills. Note: The children shown in these photos are members of the GSU community, but are not clinic clients. 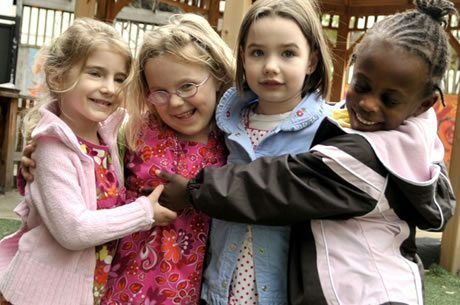 Children and adolescents go through various developmental stages characterized by a wide variety of behaviors. Their behavior is constantly changing and evolving. Because of this, it is often difficult to know when psychological counseling is indicated. If behaviors become severe or impact your child’s functioning at home or in school, an evaluation can help determine what type of intervention may be helpful. 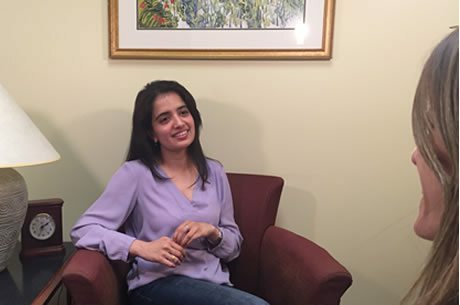 Psychoeducational testing, behavioral analysis, neuropsychological evaluations, and other types of assessment are provided by the Psychology Clinic. What can you expect with our psychological evaluation process? If you are interested in scheduling an evaluation or in learning more about our testing and evaluation services, please call at 404-413-6229 and request to speak with an assessment counselor. An assessment counselor will return your call usually by the next business day. He/she will discuss your needs and determine whether we can provide the evaluation you need. If we are unable to meet your current need, referral assistance will be provided. Following the initial telephone call, a completed application, previous records and a nonrefundable deposit are required. Due to the volume of requests for assessments, appointments are generally scheduled several months in advance. An evaluation typically involves 2-4 appointments of a few hours each. The balance of the assessment is due at the first appointment. Youth are generally scheduled in the morning hours (an excuse for missing school can be provided). Appointment length is determined based on age and functioning of the client. 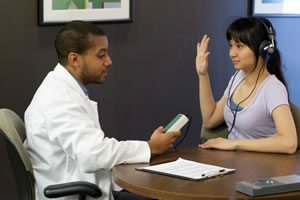 Adults sometimes can complete the testing in two appointments. The complete process is typically completed 6-8 weeks from the initial interview session. In addition to an interview, the evaluation includes various tests, including, but not limited to achievement, intellectual, processing, neuropsychological, behavioral and emotional testing. Tests are chosen based on the specific nature of the presenting questions or referral concerns. Evaluations include information from various sources, including family members and school personnel. School records and previous treatment records are an important part of an evaluation. 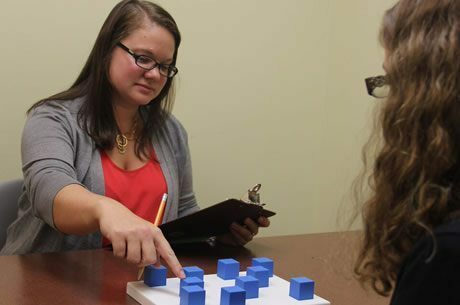 Assessments are conducted by graduate students who are supervised by a licensed psychologist. The supervising psychologist closely reviews all steps of the assessment. At the end of the assessment process, a final session is held to provide results and recommendations. Additionally, a written report will be provided within approximately three weeks of the final assessment session. 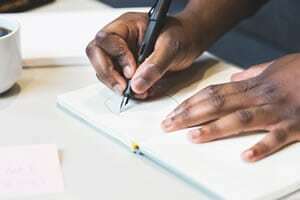 If the adult client or parent/legal guardian of the child client provides a written consent to release information, the evaluation findings can also be discussed with other family members, the school, and/or treatment providers in an effort to facilitate the most appropriate intervention. 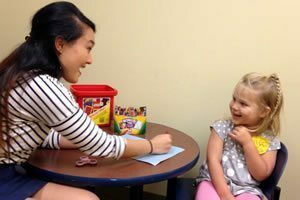 The Developmental Neuropsychology Lab at Georgia State is currently examining outcomes in survivors of childhood brain tumors, congenital heart disease, and other medical conditions across the lifespan. For more information or to see if you qualify for research opportunities, please call 404-413-6339. **The photos of the children on this site are used for illustrative purposes only, and all persons depicted are models. 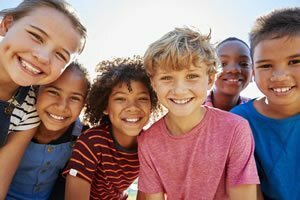 This group intervention is for children aged 7 to 10 who have difficulty controlling their emotions. Children who experience frequent or strong sadness, worry, anxiety, irritability or guilt would benefit from this group. 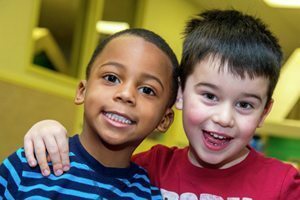 Children will learn strategies for effectively managing emotions and how to apply the strategies to their day-to-day lives. Parents will have the opportunity to participate in a parent group. The groups will take place at the Georgia State University Psychology Clinic in downtown Atlanta. The next group will begin in April, 2018. The cost is $10/session. For more information, click here, or please call 404-413-6229. For more information. IF YOU ARE A POTENTIAL CLIENT OR WOULD LIKE TO MAKE A REFERRAL, please call us at 404-413-6229.